Unmanned Aerial Solutions has created and unveiled a new HD video switcher specifically designed for first-person-view (FPV) drones, offering a high definition two-way video switcher specifically intended for the drone hobbyist using HD cameras. The prototype is now ready to jump into production and has taken to the Kickstarter crowdfunding website this week to raise the $11,450 required to do just that. Watch the demonstration video below to learn more about the HDMIRC HD video FPV drone switcher, which is now available to back with early bird pledges starting from $229 and worldwide shipping expected to take place during June 2018. HDMIRC is being marketed as the world’s first standalone High-Definition Video Switcher for FPV Drones. Enabling the drone pilot to switch between to different cameras on the drone during flight, changing perspective at the flip of a switch on a handheld wireless controller. The ability to switch between cameras has been available on older standard definition video systems for some time, but nothing has been created for new high definition video systems say its creators, until now. 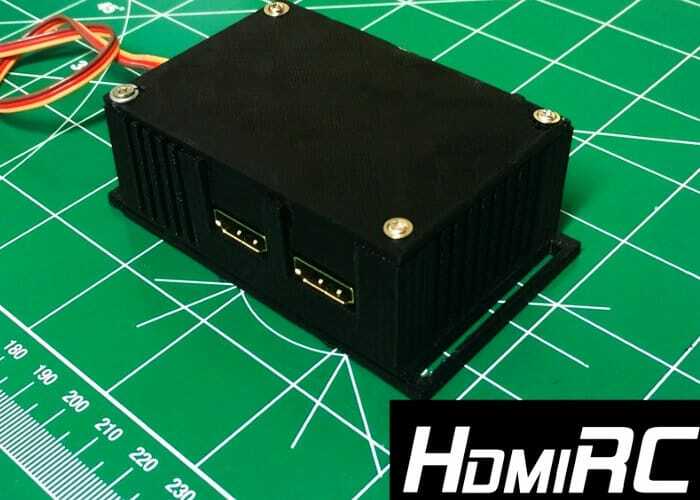 For full specifications, more details and a list of all available pledges to help the HDMIRC make the jump into production, jump over to the official Kickstarter HDMIRC campaign page by following the link below.